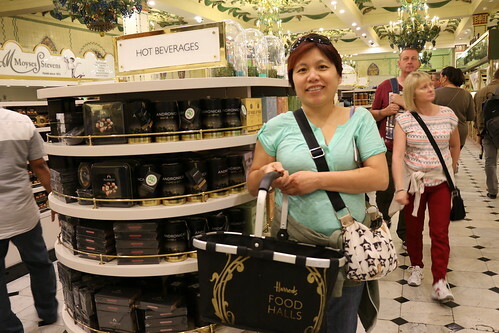 So far, I’ve only had one chance of going to something like Harrods food section on ground floor. I could spend days in Harrods, looking at every detail in each section the department store has to offer. 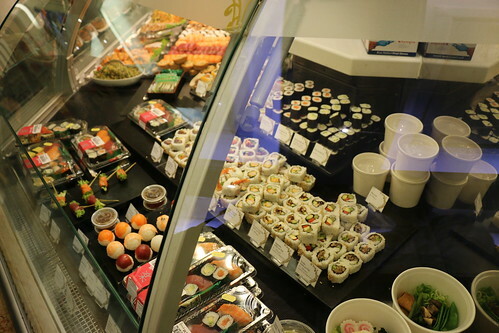 Besides getting lost in this huge department store, the foods were outrageous. 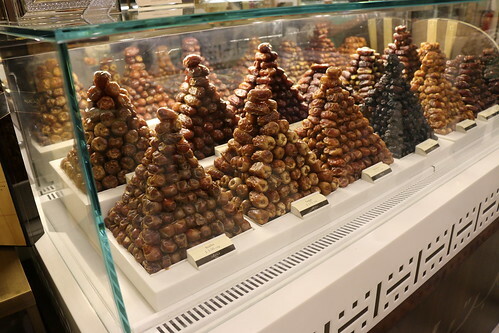 I have to admit, I could spent at least five days, walking over the same tiles, admiring the the chocolate, dessert decorations and trying everything Harrods has to offer. This makes me laugh everytime. The first time I saw this, I couldn’t believe my eyes. When I got to the Japanese section, I saw California rolls being individually sold piece by piece; £1.50 each! 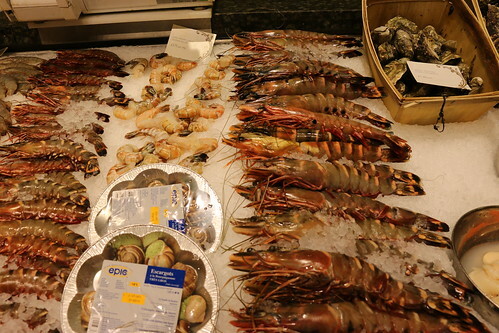 There were so much seafood to choose from. 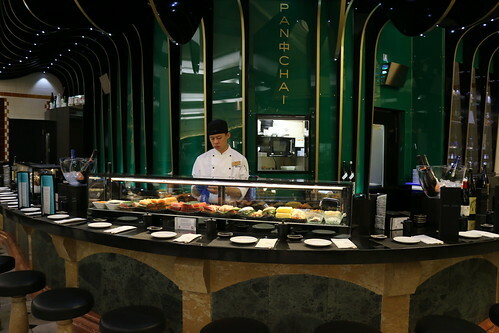 Harrods even has a seafood restaurant, serving up fresh shucked oysters. 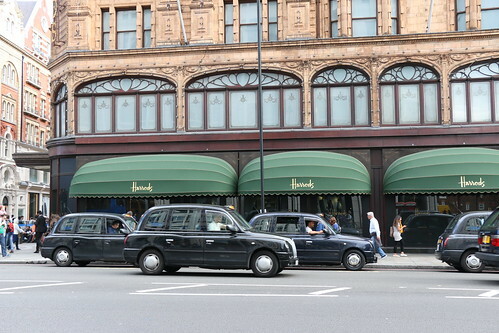 This is just a tiny snippet of what Harrods has to offer six (including basement) floors. I love experiencing new places, especially if food is involved. I really recommend you to go when you have a chance to visit London, even if you’re not as obsessed with food as I am. Just having a quick glance at it might change your mind. Have you read my previous food posts about London? Click here, here and here. P.S. Click here to read my recent tweets. 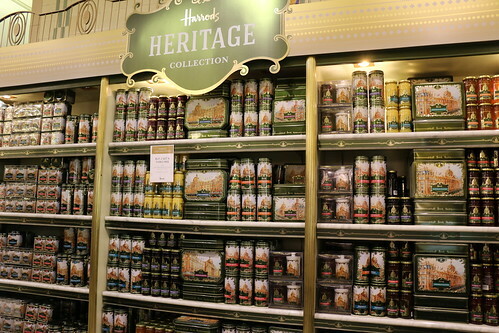 I LOOOVE the Harrods food section- especially in Christmas!! Do you live in london? 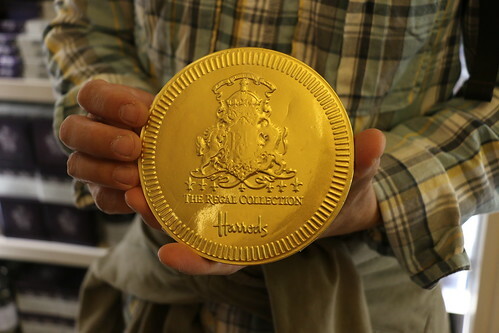 I’ve seen and heard so many goodies about harrods during Christmas ! I’m so jealous! !